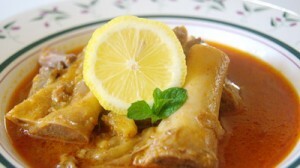 Ramadan Mubarrak. In Bangladesh Ramadan and iftar in Puran Dhaka are inseparable or entangle . 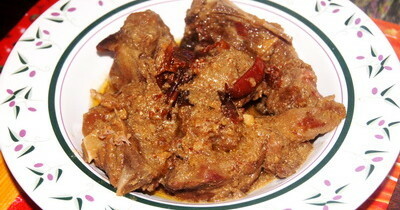 Puran Dhaka is famous for its traditional food and Suti Kabab / Sutli Kabab (specially in Iftar) stands there with glory. This kabab goes well with paratha and puffed rice(muri). Hope everyone is having a blessed Ramadan and may Allah accept all of our fasts, our prayers, our efforts. I hope this finds everyone in good health as well. Thanks. 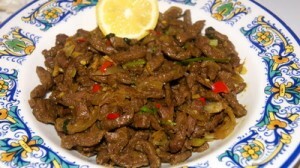 Ingredients: 500 gm boneless beef 400 gm beef mince ½ cup onion chopped ½ cup chick peas flour(besan) 1 tsp ginger paste 1tsp garlic paste 1 tsp mustard paste 2 tsp white poppy seed paste 2 tsp green papaya paste (pepe bata) ½ tsp allspice(kababchini) ½ tsp black pepper powder(optional) ½ tsp coriander powder 1 tbsp chilli powder 2 tbsp green chilli 2 tbsp coriander leaf 2 tbsp oil 1 egg Salt to taste Also need 4 skewers, cotton thread, 1/3 cup fried onion and ½ tsp garam masala. Ingredients: • 500 grams mince(beef/ lamb/ mutton) • 1/3 cup chopped capsicum • 1/3 cup chopped onion • 1 tablespoon chopped green chillies • 2 tablespoon chopped coriander • 3 tablespoon tomato sauce • 1 teaspoon ginger paste • 1 teaspoon garlic paste • 1 teaspoon kabab masala • ½ teaspoon garam masala powder • ½ teaspoon black pepper powder • ½ teaspoon roasted cumin powder • ¾ teaspoon salt or to taste How to make: 1. Preheat the oven to 180˚c. 2. Mix ingredients together. 3. Take tray and cover it with aluminium foil. 4. Place meat on it like loaf shape. 5. Bake it 40 minutes and after 40 minutes take tray from oven. You will find juice (water from meat) in the tray. Drain juice and grill it 5-8 minutes. 6. Take the meat loaf from oven. 7. 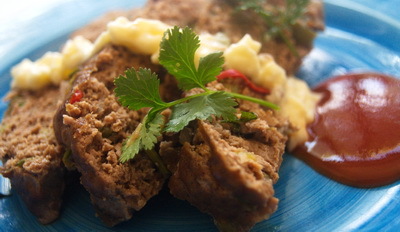 Serve Spicy meat loaf as a snack or alternative of kabab. Tips: Dont take lean mince, lean mince will make dry loaf.